This is an extremely well known naturist holiday resort and Koversada was the first resort of its kind in Europe when it opened over 50 years ago. 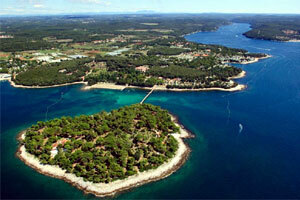 It is also probably the largest naturist resort in Europe too! This is a beautiful property with a secluded feel and also has a camping section yet the place is very relaxing with lots of space. 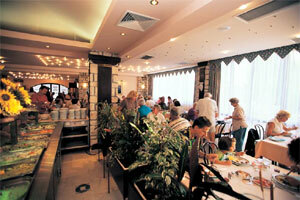 The olive trees produce olive oil that is served in all restaurants and oleander and jasmine provide natural colour. The beautiful Lim Fjord is a 15 minute walk away and this is one of very few natural fjords in Southern Europe, the place is famous for restaurants serving shellfish from the fjord. Located in a massive park full of olive, oak and pine trees and close to the pretty village of Vrsar (which was a favourite of Casanova when he romanced in this area), with its winding streets and lovely marina - just a ten minute walk away. 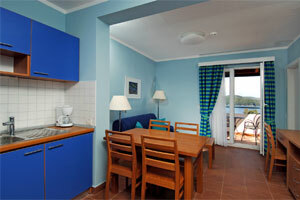 The villas offer great value and are two star category. 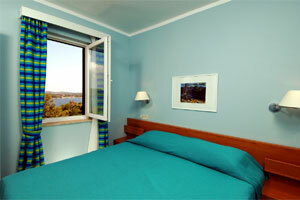 Consider them as a "back to basics" holiday with no frills in a great location. There is no air-conditioning, no telephone or TV. 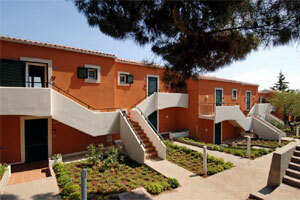 The 119 apartments are four star category and have air-conditioning and satellite TV. Villas are not villas as you would expect - they are rooms! These are available on either a bed and breakfast or half board basis. Located on two floors (connected by steps) with first floor and ground floor rooms. Some buildings have only one level at ground floor. There are double rooms (that can be made into twin beds - should be requested at time of booking) and also some triple rooms with an extra bed. 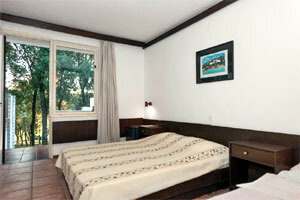 All rooms have balcony or in the case of ground floor rooms, a patio-garden and all are surrounded by lawns. Despite the lack of air-conditioning, the rooms are really well aired when front and back doors are open creating a through draught. Bathrooms all have walk-in shower and hairdryer. An internet corner is at the reception area - please note there is a charge to use this service. Apartments are in a slightly elevated area and were renovated in 2009. Some apartments are on just one level and others are on two levels. Some are set in lush gardens. They are all spacious and offer accommodation for two people up to a maximum of five and the larger apartments have two double bedrooms (these can be made into twins), two balconies plus a sofa bed in the lounge. There is an open-plan living room in all apartments with a kitchenette featuring a four ring hob, oven, fridge and coffee maker. No kettles so bring a travel kettle if this is important to you. Table and chairs for dining. 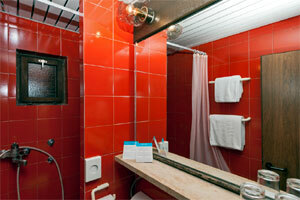 There are safes and bathrooms have either walk-in shower or bath with shower plus hairdryer. 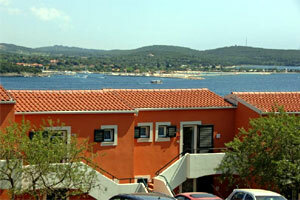 Views from the apartments vary and some have a partial sea view. The beach is rocky and pebbly with good access into the sea via paved areas and steps and there is also a man-made sand area. Sunbeds and umbrellas are available for hire. There is no swimming pool on site. Guests can choose bed and breakfast or half board options (or self-catering in apartments only) and these meals are served in the main Amphora restaurant. Mendula Grill is an a la carte restaurant specialising in meat dishes, Batana serves seafood specialities and Balun is a pizzeria. Clothes must be worn in all restaurants except for the outdoor terrace of Mendula where guests can be naturist. There are several bars including a beach bar where clothes are not required. Sports include tennis, volleyball and mini-golf. Bicycle hire is available at an extra charge. Additionally there is a supermarket, hairdressers and massage services on site.